when grown in a space where the entire plant is visible. or as a 'stand alone' specimen, and it is sure to turn heads. Red Hot Pokers are one of the favorite flowers for hummingbirds. 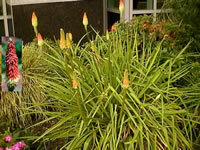 Depending on the variety, the flame colored flower spikes will reach 2-5 feet in height. The flower's coloring may range from ivory and orange to coral red. every month from May through October! Red Hot Pokers are hardy in USDA zones 5-10. They must be grown in full sun. 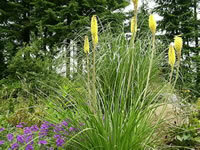 Provide adequate spacing for these plants which may spread up to three feet over time. 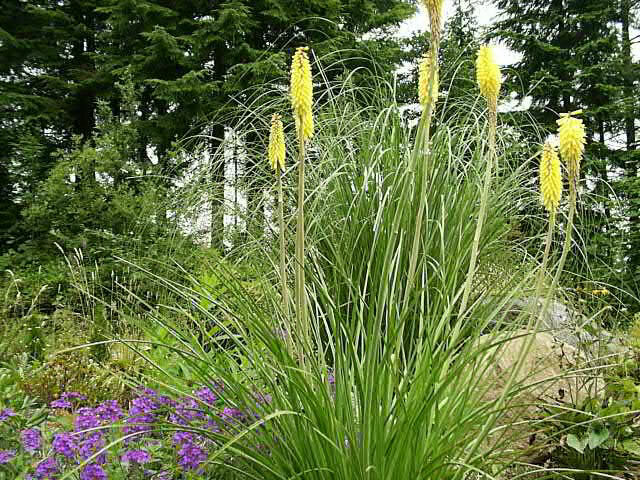 otherwise these plants are tolerant of most soil types. if they are given abundant water during hot weather. 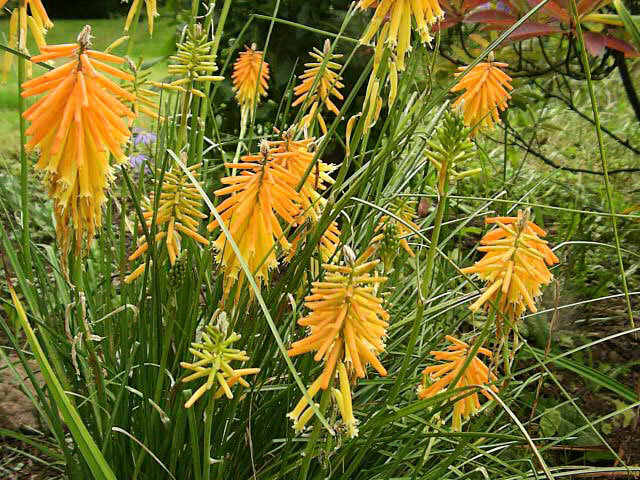 NEVER plant Torch Lilies with their crown deeper than three inches. so provide winter protection by applying a heavy mulch. entering the crown of the plant. Another option is to cut the foliage off at the base in late fall. if it was not cut previously. 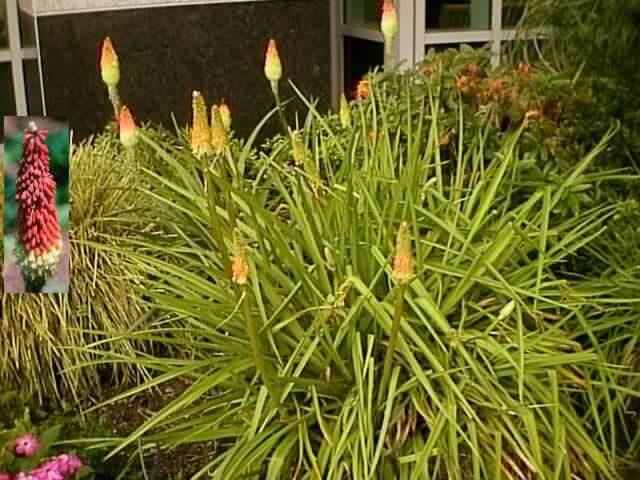 Fading flower spikes should be removed promptly, to encourage more bloom. 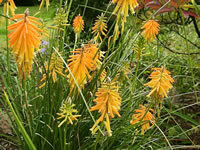 Torch Lilies can be propagated by division or they can be grown from seed. After dividing, the blooming of your Tritoma may be reduced for the next one to three years. or transplanted directly to a new location in your garden. Seeds can be sown indoors at any time. Tritoma seeds need 6 weeks of moist chilling in the refrigerator prior to planting. After sowing the seeds, lightly cover them with fine soil, then keep them at 70-75° F.
Germination normally occurs in about 20 days, but may take up to 3 months for certain cultivars.